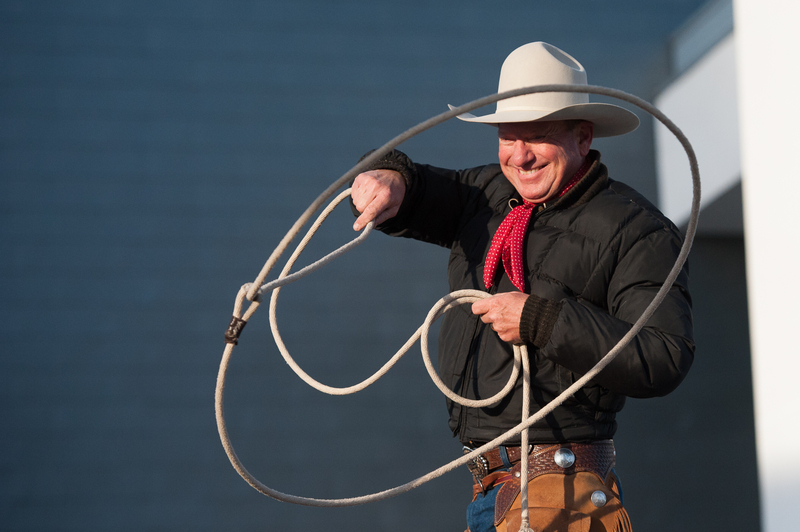 Rodeo Austin held its annual Cowboy Breakfast, Friday morning at the Long Center in downtown Austin. The event is the traditional start of the Star of Texas Fair and Rodeo. Hundreds of hungry Austinites braved the cold weather for a warm meal of biscuits (cooked in dutch ovens) and gravy, pancakes, hot coffee and other delights. There was musical entertainment by Lohman’s Crossing, demonstrations by champion trick roper Kevin Fitzpatrick and a carving by a chainsaw artist. Just another entertaining morning in Austin. This year’s rodeo runs from March 14th through the 28th.